Note: Pictures might not display well in some versions of Internet Explorer. Get FireFox instead. Anonimo, Archimede, Arctos, Aristo, Azimuth, Benzinger, Blancier, Christiaan van der Klaauw, Defakto, D. Dornbl?É¬ºth & Sohn, Favre-Leuba, Genesis, Glycine, Limes, Linde Werdelin, LIP, Meistersinger, Montres de Luxe Milano, Nomos Glash?É¬ºtte, PELLIKAAN timing, Rainer Nienaber, R.O.1 Roland Oostwegel, Steffen, Stowa, Tempvs Compvtare, Van Ree and Vollmer. 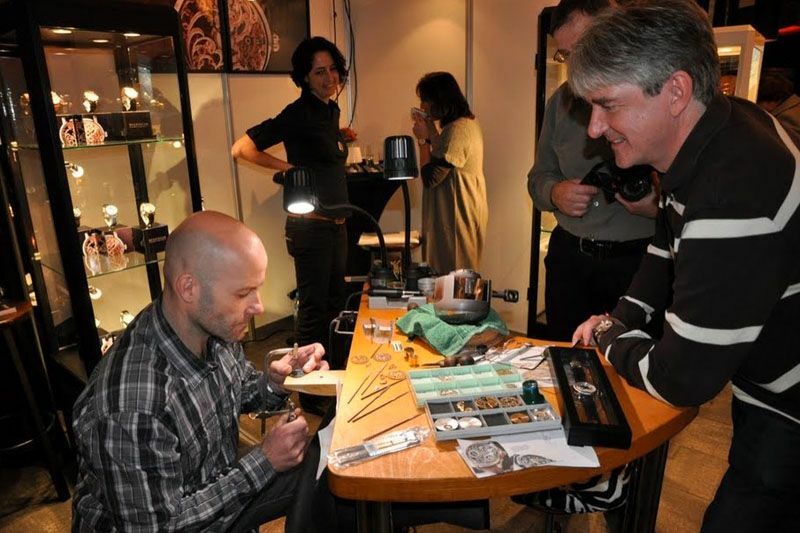 The organization of this event aimed at the small independent watchmakers, and I am happy to note that some of them aren’t even Swiss or German. 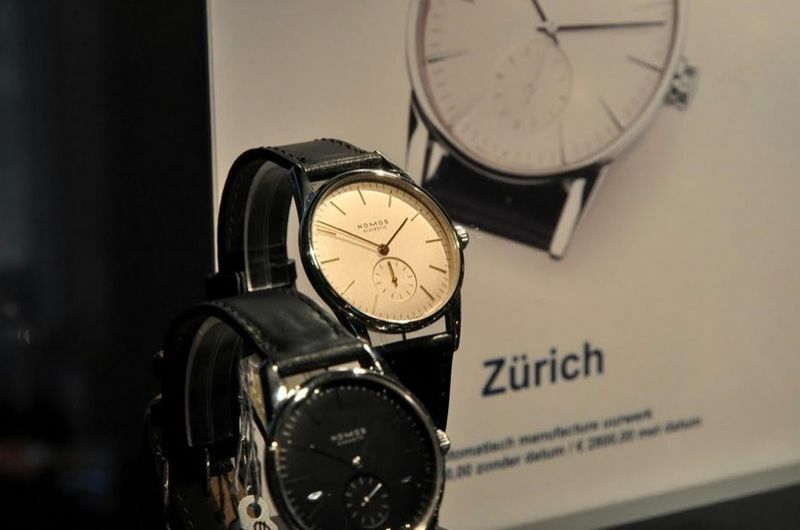 The list includes Dutch, Belgian and French watchmakers as well. These brands will not immediately ring a bell by the average watch-Joe, but are nevertheless interesting to give some attention if you are a watch enthusiast (of whatever kind). As you can see, castle De Hoogenweerth is top of the bill for these kind of events. 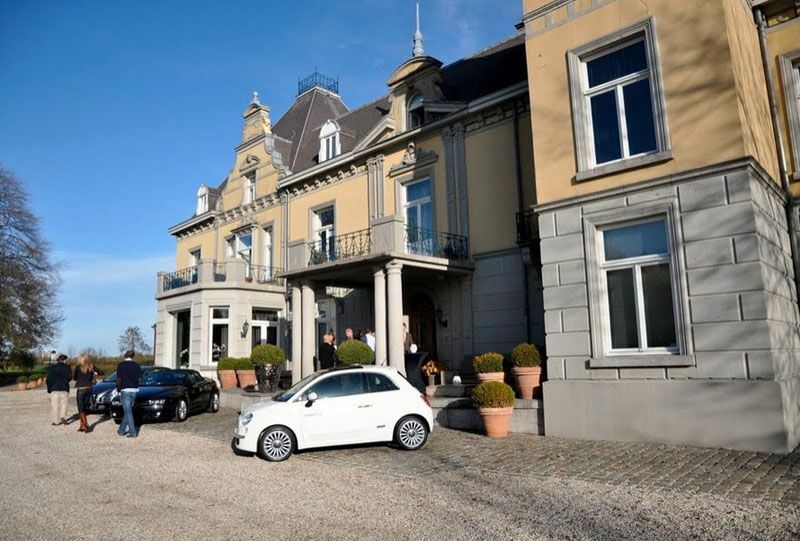 One of the sponsors (Biermans, dealer of Alfa Romeo, Fiat and Lancia cars) made sure you couldn’t miss their presence when entering the WATCH 2009 event. 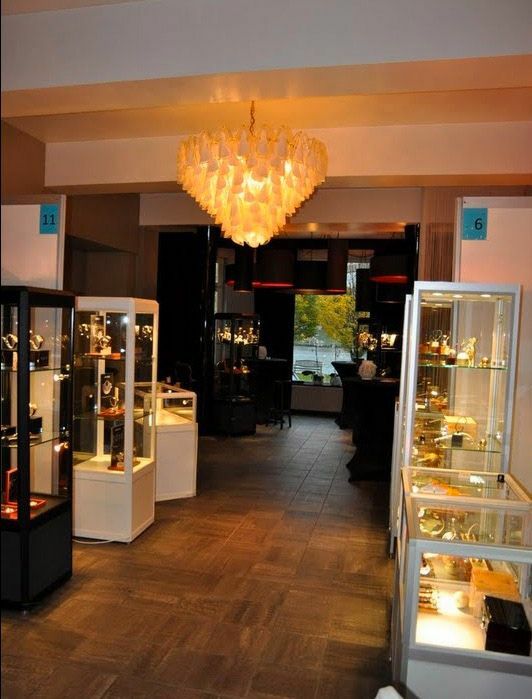 Just before opening, a quick shot was made of one of the exhibition spaces in the castle. This part was filled with watches from Benzinger, Blancier, Archimede, D.Dornbl?É¬ºth & Sohn, Glycine, Favre Leuba and Linde Werdelin. 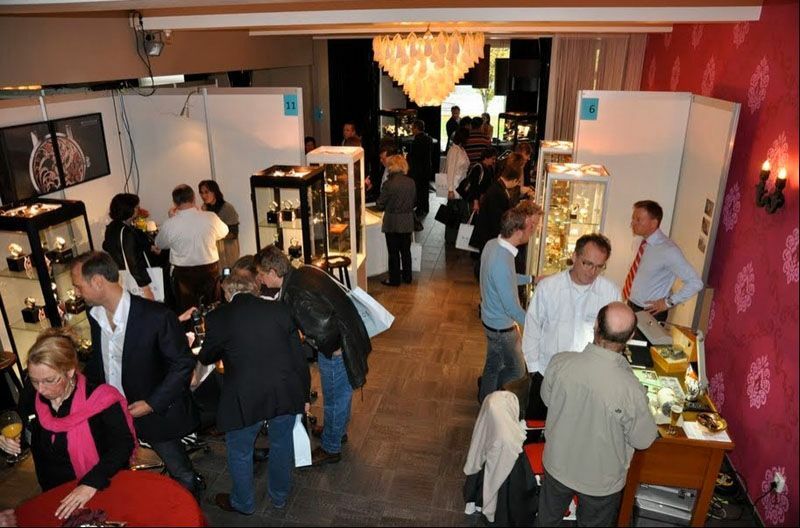 Not much later… all the booths are immediately crowded with interested watch enthusiasts. On the watchmaker’s bench of Blancier I found this tourbillon prototype. The dial doesn’t reveal the tourbillon complication.. Here is a another crowded picture of the same groundfloor space, taken from the other side. 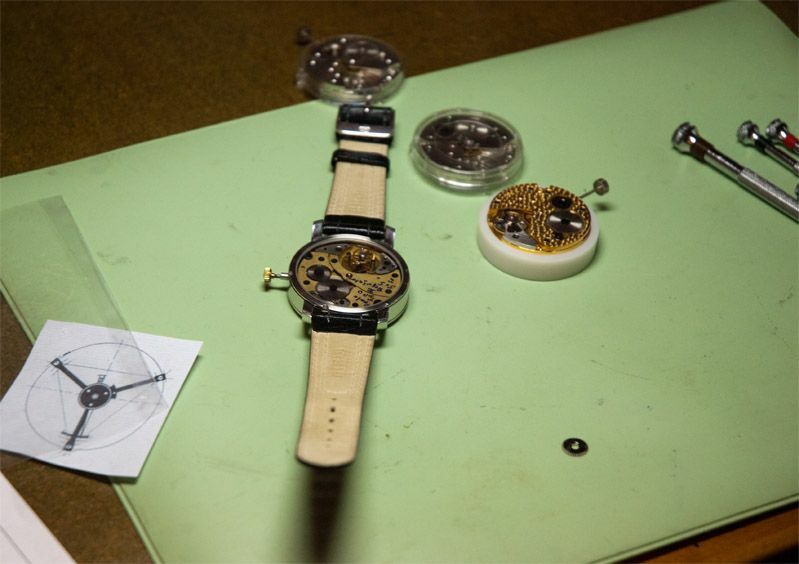 Here you see the D.Dornbl?É¬ºth & Sohn team showing their watches to visitors. Jorg Schauer showing off to Jochen Benzinger how to use the saw correctly. 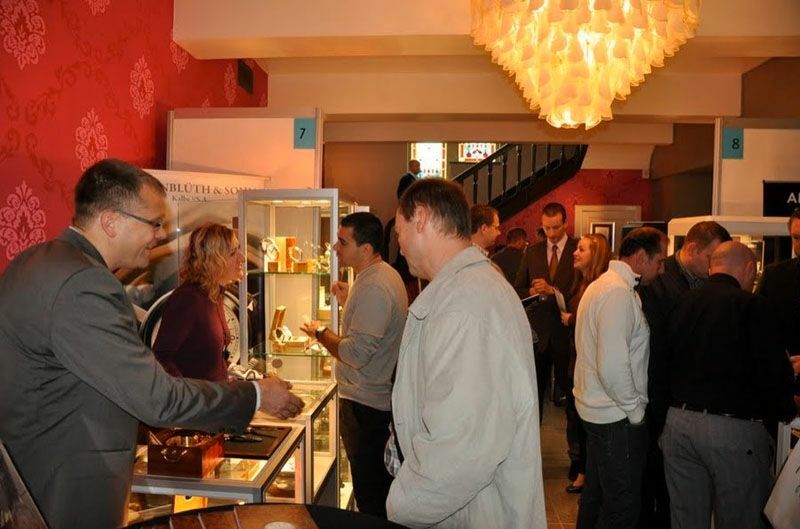 On the first floor there was – besides a professional barista, a ladies luxury corner, Arctos and Van Ree watches – the Anonimo booth. 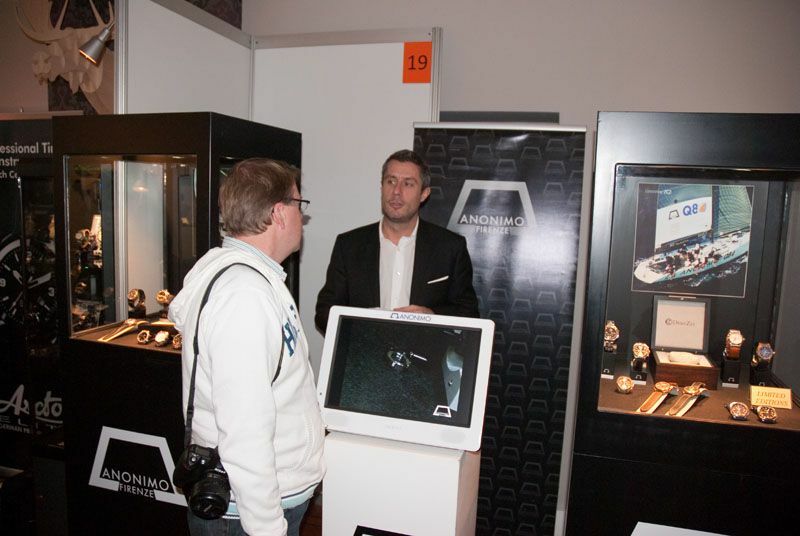 Here you see Bernard Werk of WATCHING magazine in conversation with the Anonimo representative David Cypers of BENELUX. Benard Werk showing the Anonimo Nautilo Steel Nautilo Bronze, made out of.. yes.. bronze. The sand-blasted and satinated watch case and bezel are manufactured in a special bronze alloy defined as UNI5275. Alloy UNI5275 belongs to a group of alloys (bronze-aluminium-iron-nickel) employed in hi-tech and high mechanical resistance ad anti-corrosion naval construction, like high performances propellers, propellers pitches, torpedoes flanges. Polished and satinated AISI 316 plus stainless steel back cover. 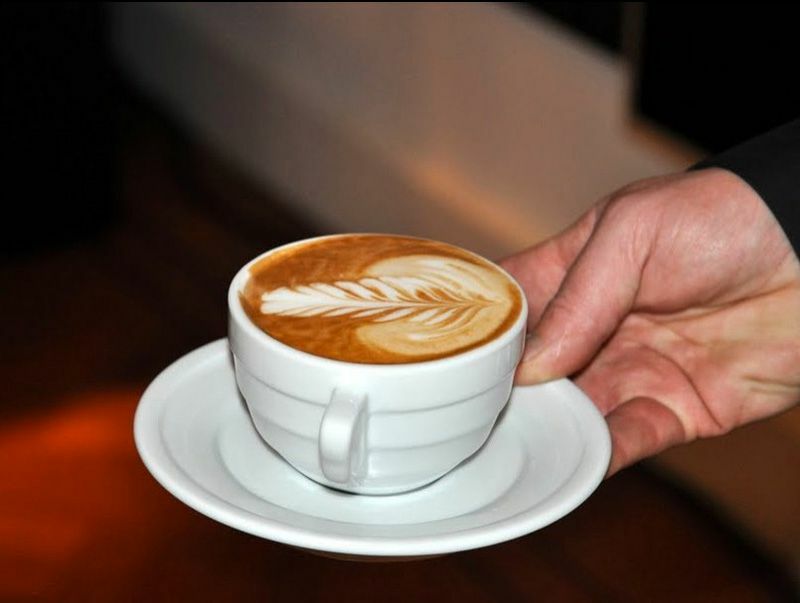 Time for a decent cappuccino from the barista coffee bar. Superb! Back to the ground floor..?Ç¬ Aristo and Vollmer had a booth in the right wing of castle De Hoogenweerth. 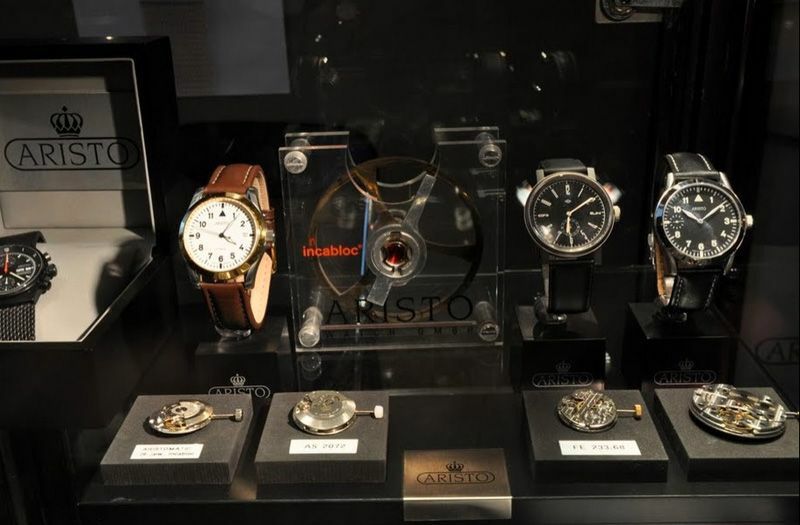 Aristo watches are being displayed, together with the mechanical movements used. 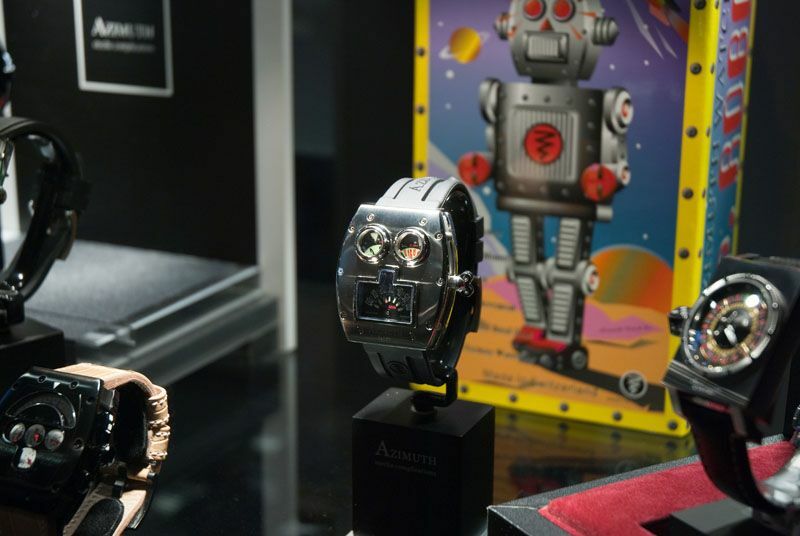 Another interesting booth was that of Tempvs Compvtare, Montres de Milano, LIP and Azimuth. 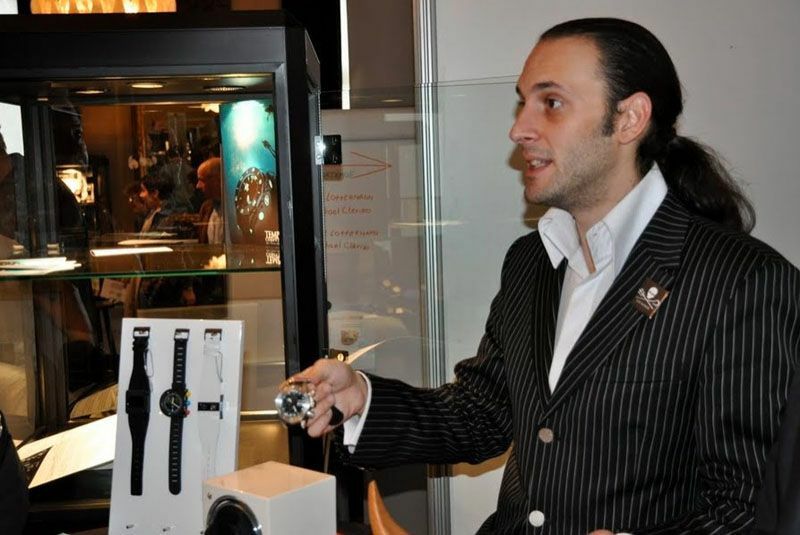 In the picture above you see Nicolas Jeanson explaining his Tempvs Compvtare concept and prototype watch to visitors. Nicolas Jeanson is very passionate about the environment and watches. 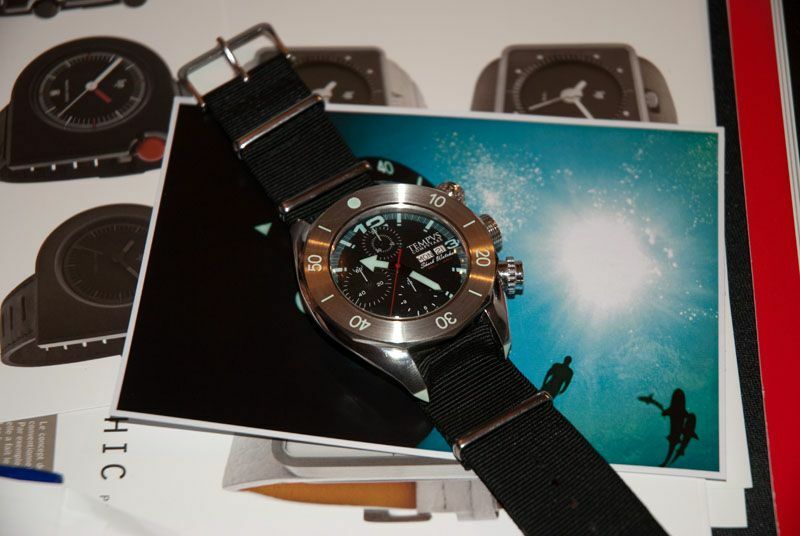 His Tempvs Compvtare watch had this almost organic shape, influenced by the hammerhead sharks. ?Ç¬ The watch will be delivered on a NATO-strap, to be as environmental friendly as possible. Above you see a close-up of the Tempvs Compvtare. The luminova material is embedded in the bezel, as well as in the pushers and crown (not shown on this picture). 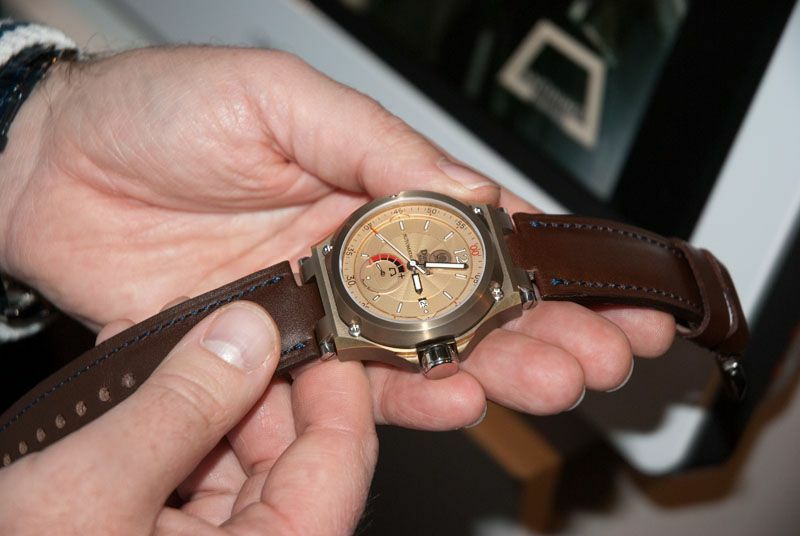 A wrist shot, thanks to Bernard Werk. Azimuth was represented by Dave van Dorst. 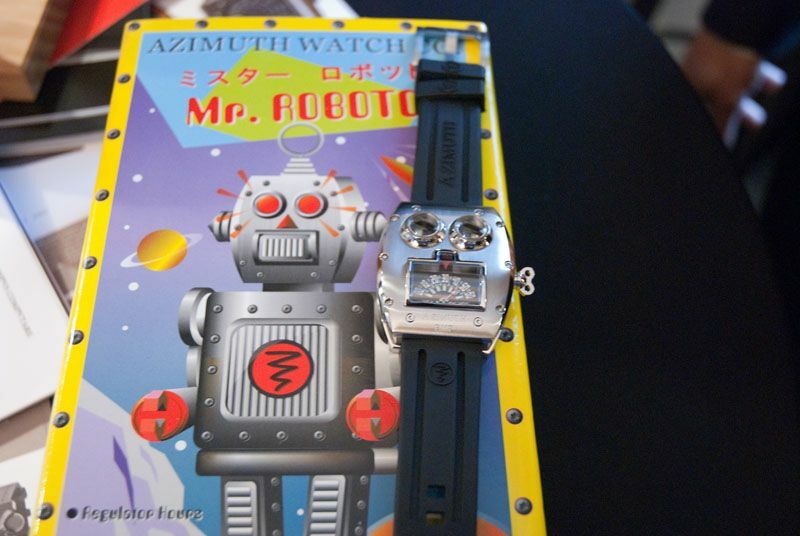 The Mr. Roboto watch surely attracts attention. Limes was until recently fairly unknown.. perhaps because they primarily focussed on making watch cases for others. Since some time, their own line of watches becomes more and more known (and popular). Above is their Limes Full Calendar watch, based on ETA/Valjoux 7751 movement. Just like in 2008, Rainer Nienaber from Nienaber B?É¬ºnde was sporting very colourful sneakers. 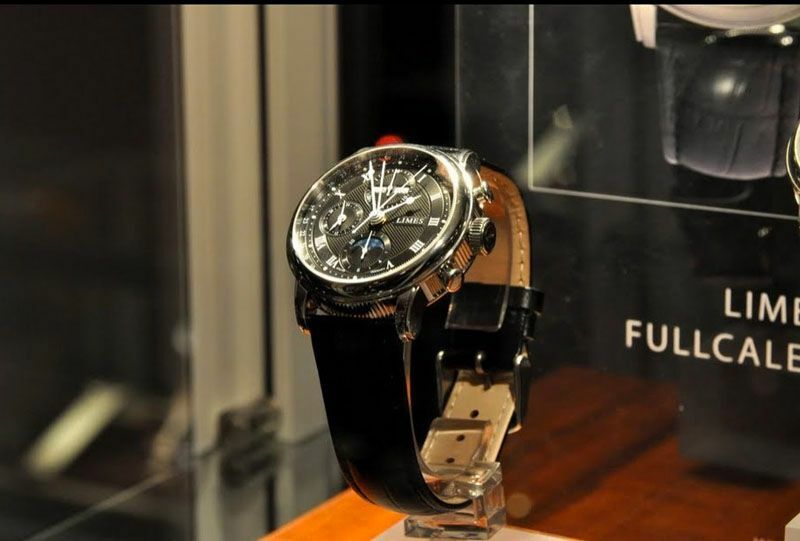 And very nice timepieces ofcourse! 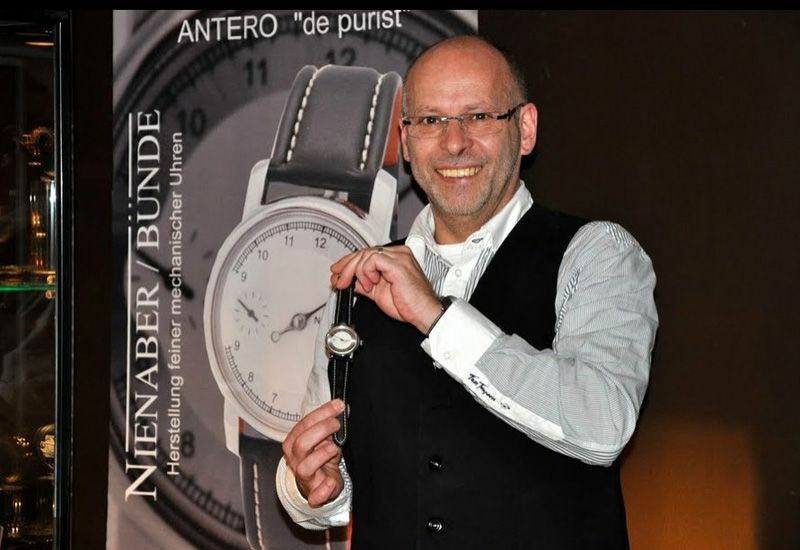 In the photograph above, Rainer Nienaber is presenting (for the first?Ç¬ time) the ANTERO “The purist” wristwatch. 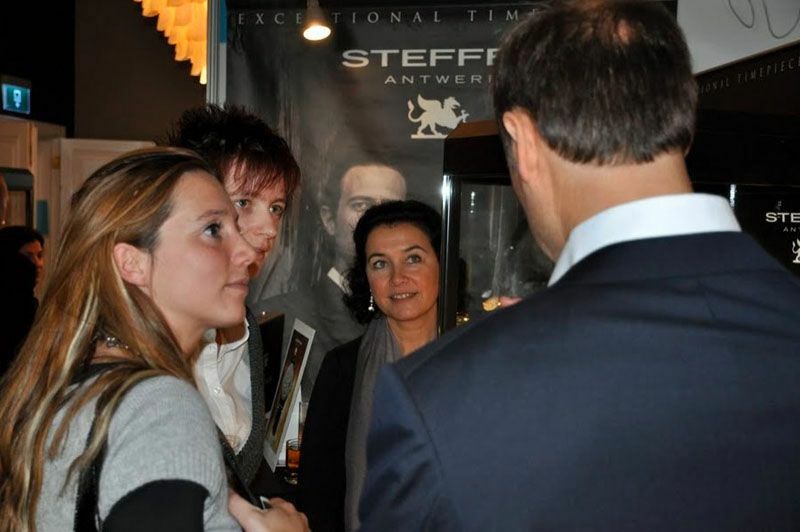 Straight from Antwerp, Mr and Mrs Steffen demonstrating their Leonardo, Julius and Galileo watches. 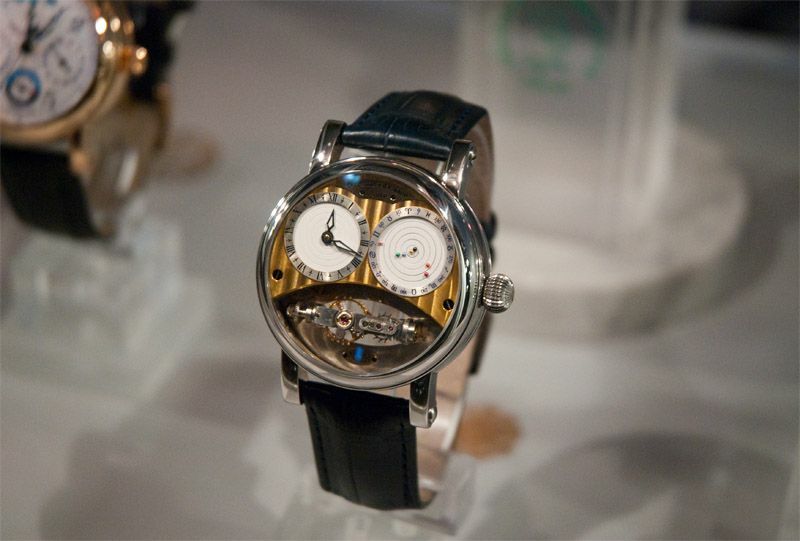 Nomos Glash?É¬ºtte, presented by Time Company (who also distributes Meistersinger in The Netherlands), had its Z?É¬ºrich model on display. This 39.7mm (which is quite large for Nomos) featuring an in-house movement and is available with or without a date-window. Christiaan van der Klaauw Tourbillon! 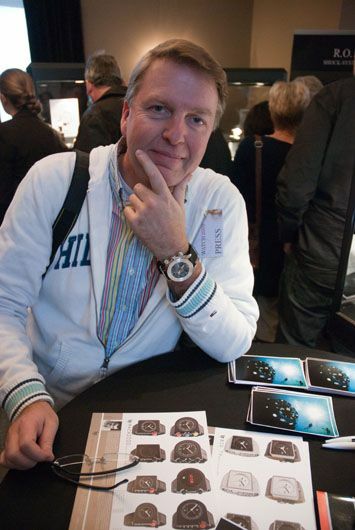 Hessel Ruijgh of Friederichs represented Glycine, Favre-Leuba and Linde Werdelin. 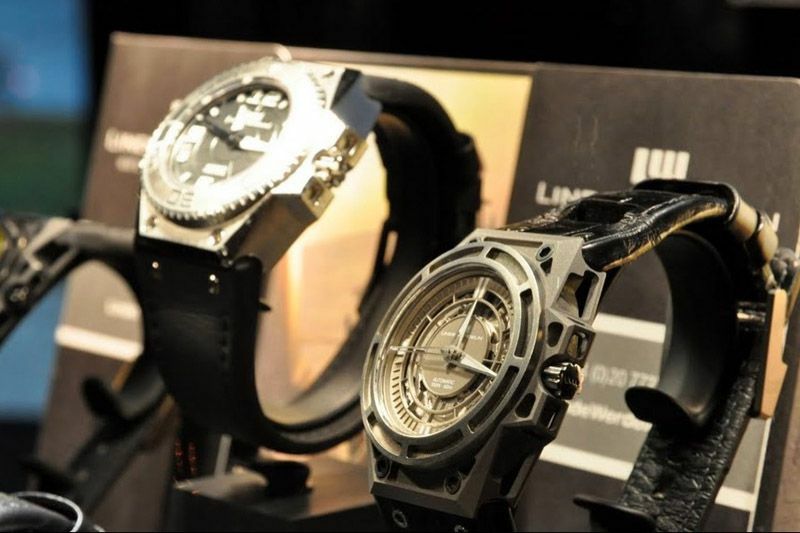 Above you see a close-up of the Linde Werdelin SpidoLite SA. 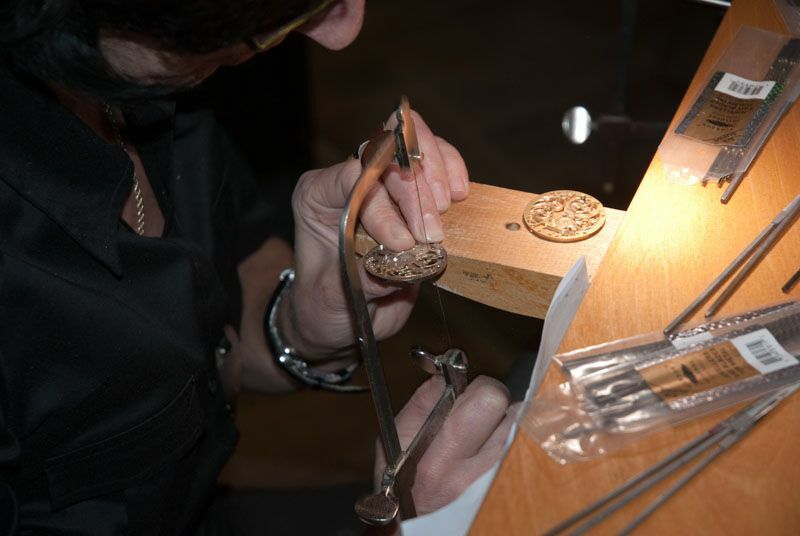 Lecturers were given by Michael Clerizo of Masters of Contemporary Watchmaking and Till Lotterman of Blancier. 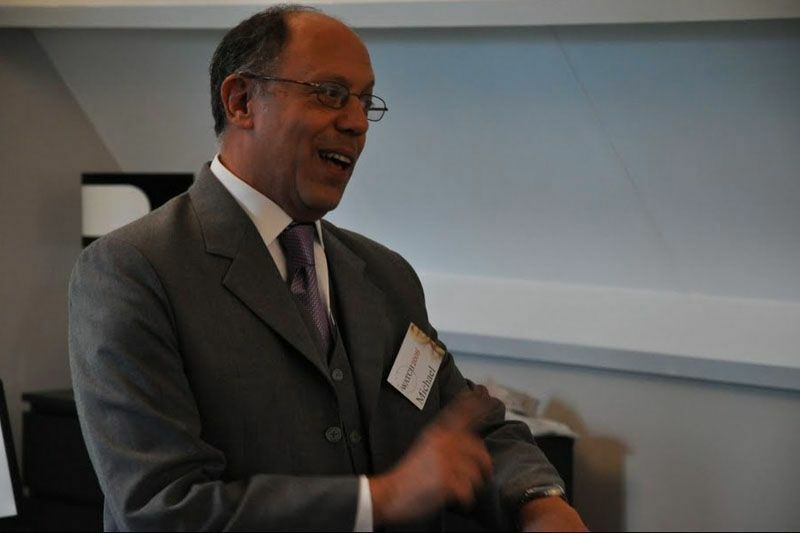 Above you see Michael Clerizo, explaining some of the world’s most impressive watches made by independent master watchmakers. And last but not least, the ladies have not been forgotten with the Ladies Luxury Corner. The space was filled with handmade shoes, bags, hats and interior accessories so there was no reason to leave your wife or girlfriend at home. Photocredits by Ernie Romers and myself. For more pictures (taken by Ernie Romers), visit this link. 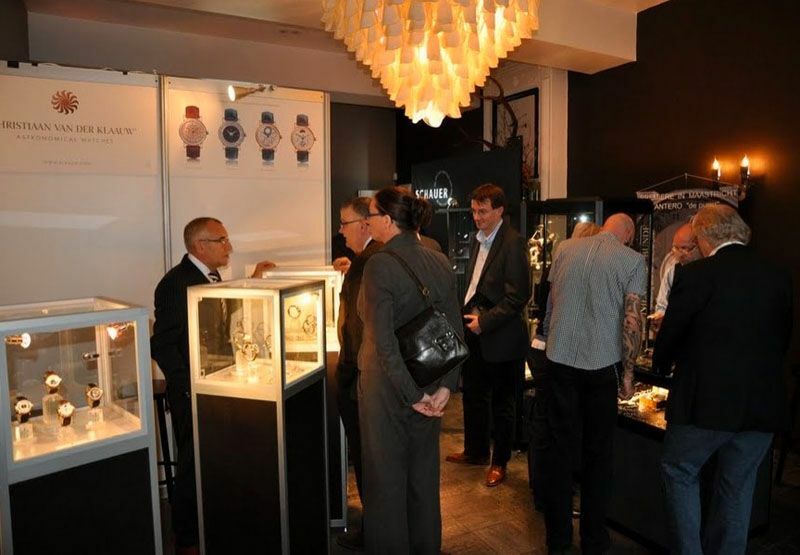 To summarize the event, it was a superb organized watch event for watch enthusiasts and for people who appreciate the finer things in life, such as watches. 🙂 Ernie and Marcel and the whole WATCH 2009 crew deserve a big thumbs up |> for all the hard work done. Also, this event wouldn’t be the same when the exhibitors weren’t as enthusiastic as they were. I have rarely seen another event that did not get one single critical note. WATCH 2009 was a true success and I hope that 2010 will bring us another one, just as good!